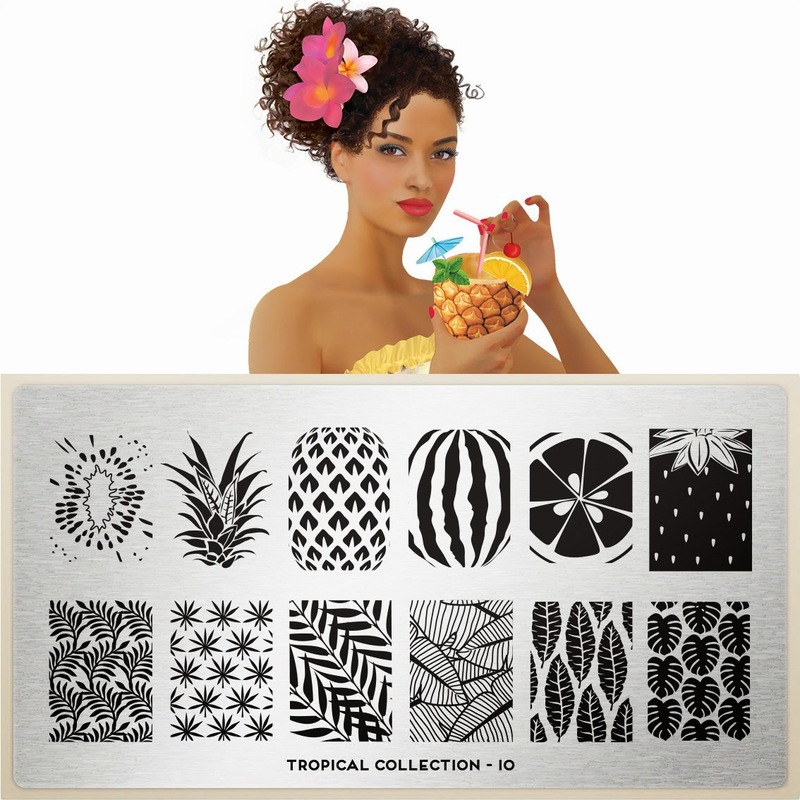 Lacquer Lockdown: Hot Off The Stamping Press: MoYou London Tropical Collection Expansion! 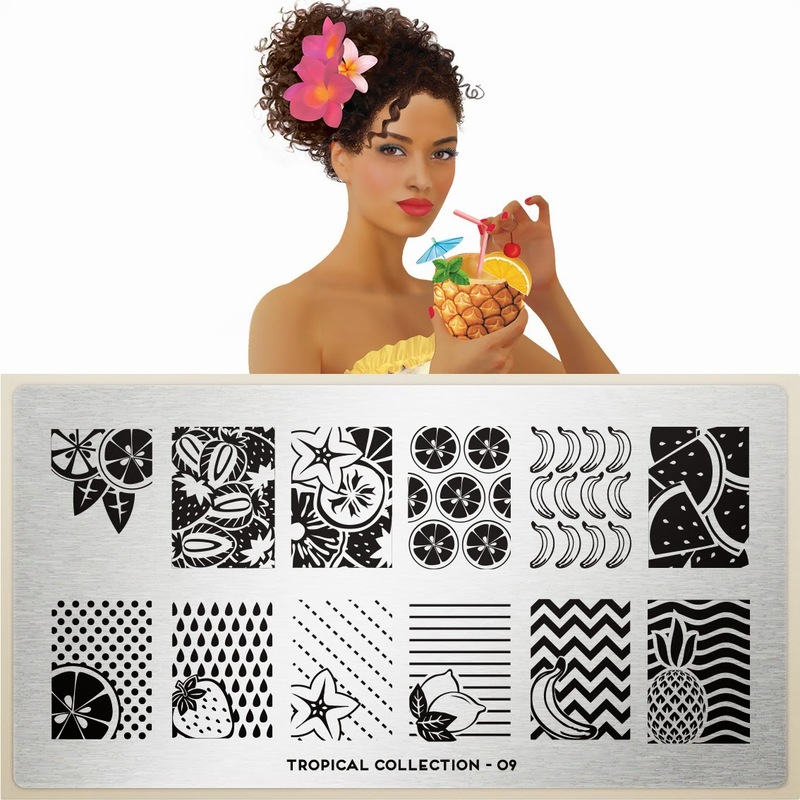 Hot Off The Stamping Press: MoYou London Tropical Collection Expansion! How's everyone doing? I feel like this week is flying and as usual for Wednesday it's time for another release from MoYou London. 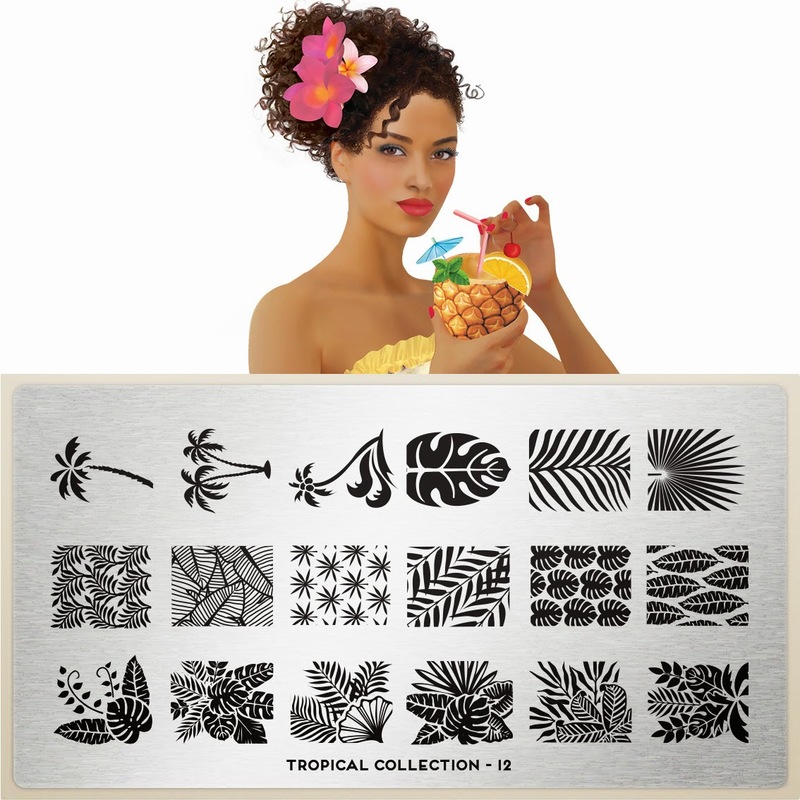 This week they are expanding on the Tropical Collection that released last week (you can see those plates here). 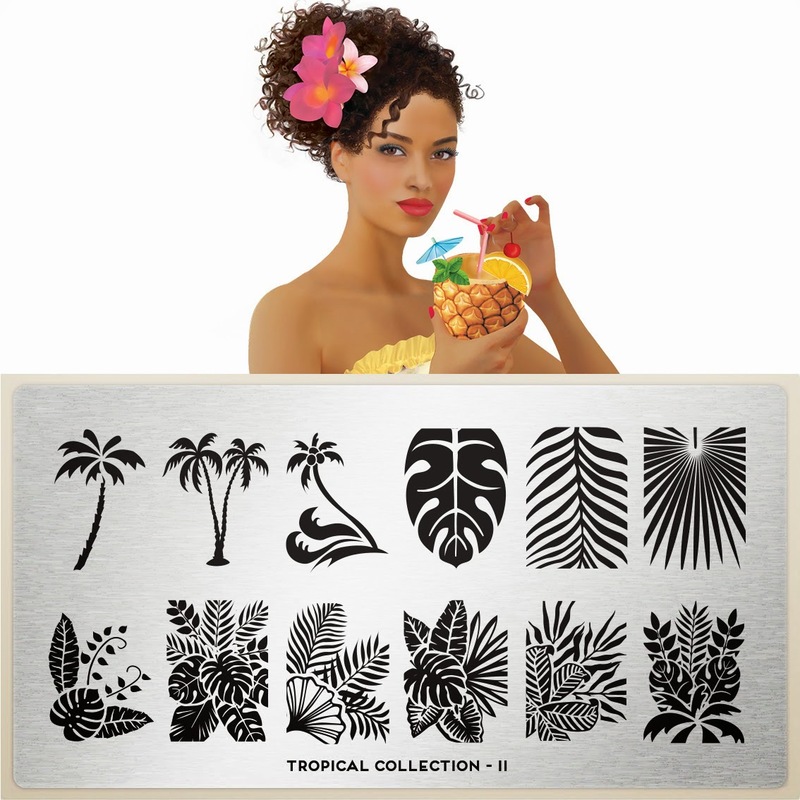 The release was wildly popular apparently and I read several reports of ladies having problems getting onto the site and also of the plates being sold out at one point. Currently that are all up and available again so the site must have restocked, but I this collection is hitting a lot of hearts hard lol my own included. It should really be illegal to make plates this lovely! I mean seriously illegal! I don't know why but I just find this collection so utterly appealing and spot on. 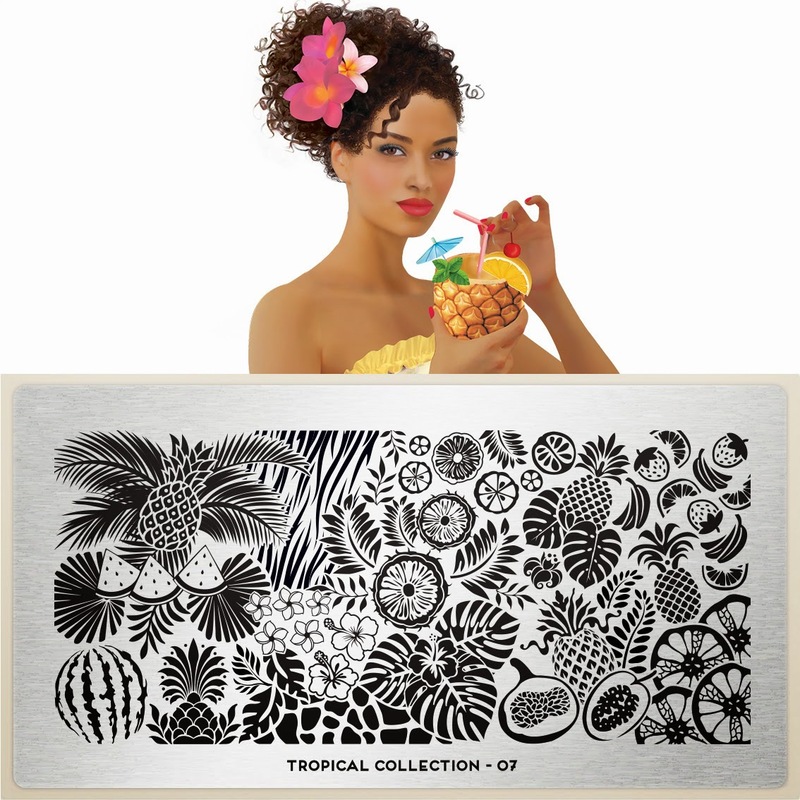 This plate is glorious and finally I will now own some decent pineapple images in a variety of sizes and styles! And to answer my prayers they did it in XL size too! Thank you MoYou no really thank you!!! 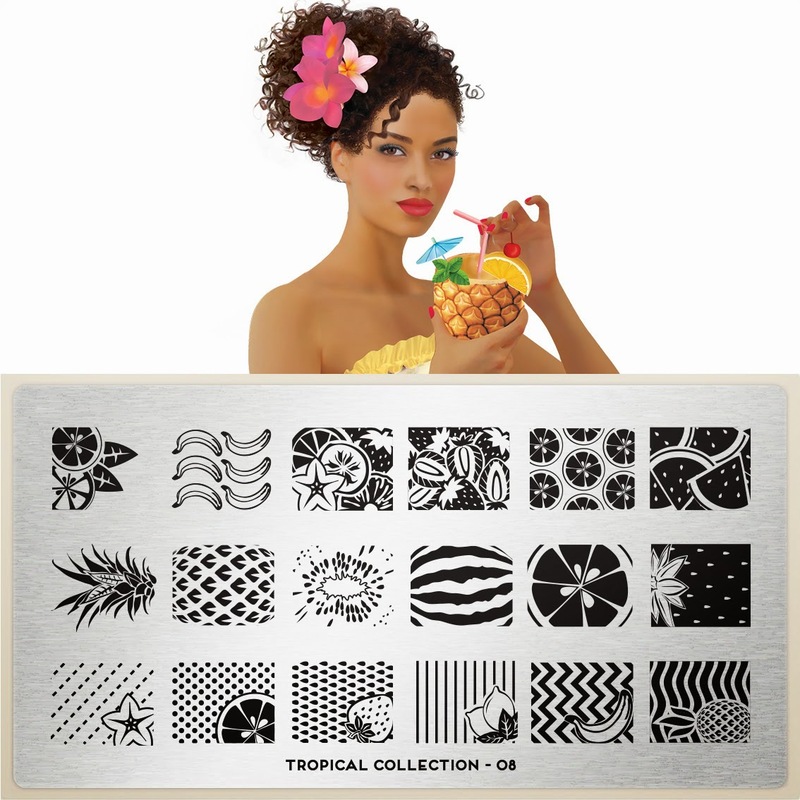 All the jungle leaves including these and freaking precious points for that image in the lower left hand corner! The same as the other 2 XLs but for the little nailed ladies!